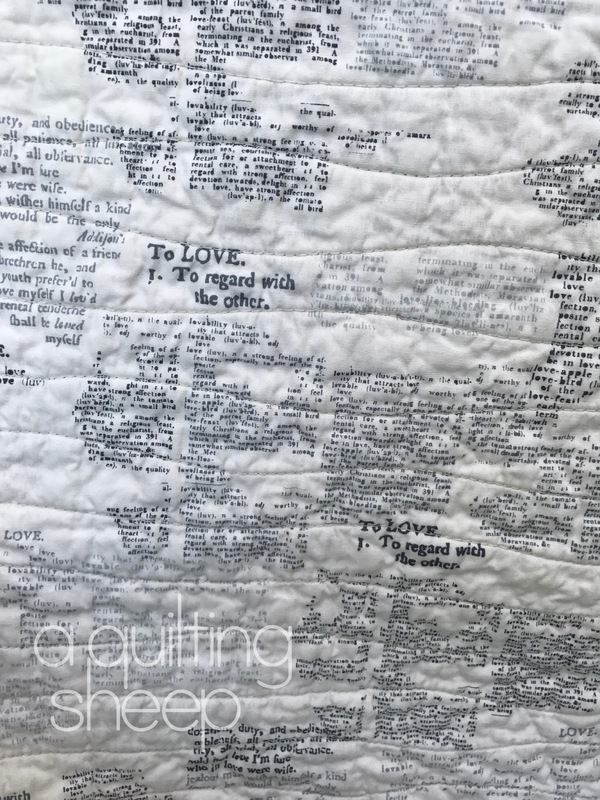 The couple said their vows, so I can share the quilt I made for them. The wedding colors were plum, gray and green. =) I'll let the pictures do the talking. I feel like Swoon is making a resurgence. Mine will be finished tonight. Love yours and the colors are beautiful. I am sure the happy couple loved it, too. what a beauty, liking the added small pinwheels on the border and what a great backing too this is going to be so loved. Gorgeous quilt. Love the colors in it! This quilt is really beautiful. What a marvelous gift! It's a beautiful quilt, Amy! Such a good idea to use their wedding colors and the backing is simply perfect! I love the quilt and I am sure that it will be loved by the couple you made it for. 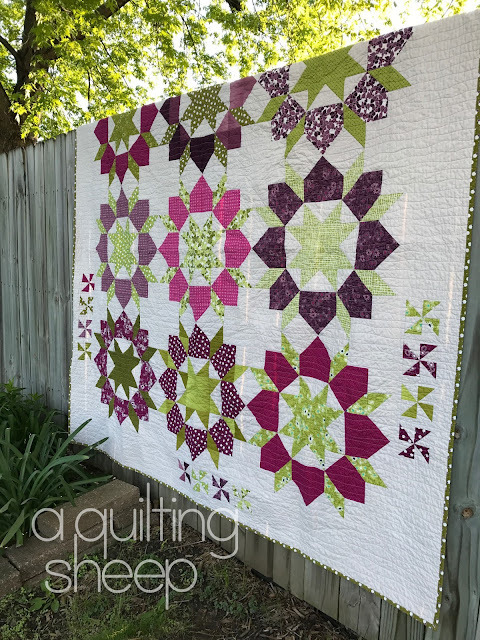 I have yet to make a Swoon quilt, I have pattern and fabric ready and waiting. I expect it will happen some day. Thanks for sharing. That's still one of my favourite patterns - and your quilt is STUNNING!!!! The backing fabric is so perfect!